Step 2. Weak or broken hammer spring (2). Step 3. Hammer spring (2) improperly assembled. Step 4. Selector lever (3) frozen on SAFE position. step 5. 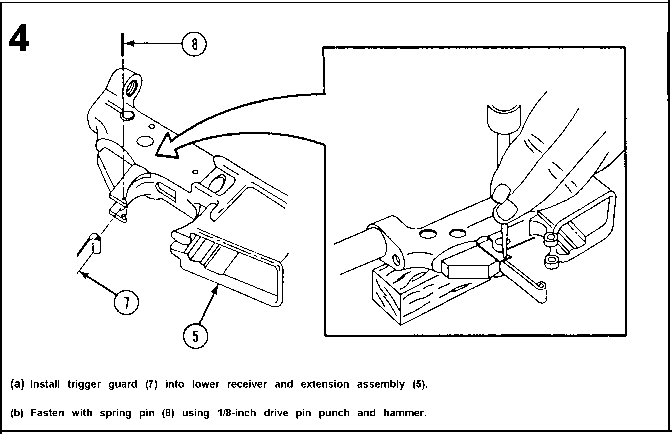 Broken firing pin (4) or firing pin does not meet gage protrusion requirement. Step 6. Damaged, dirty, or corroded spring (5) and detent (6). Clean and/or replace if necessary.